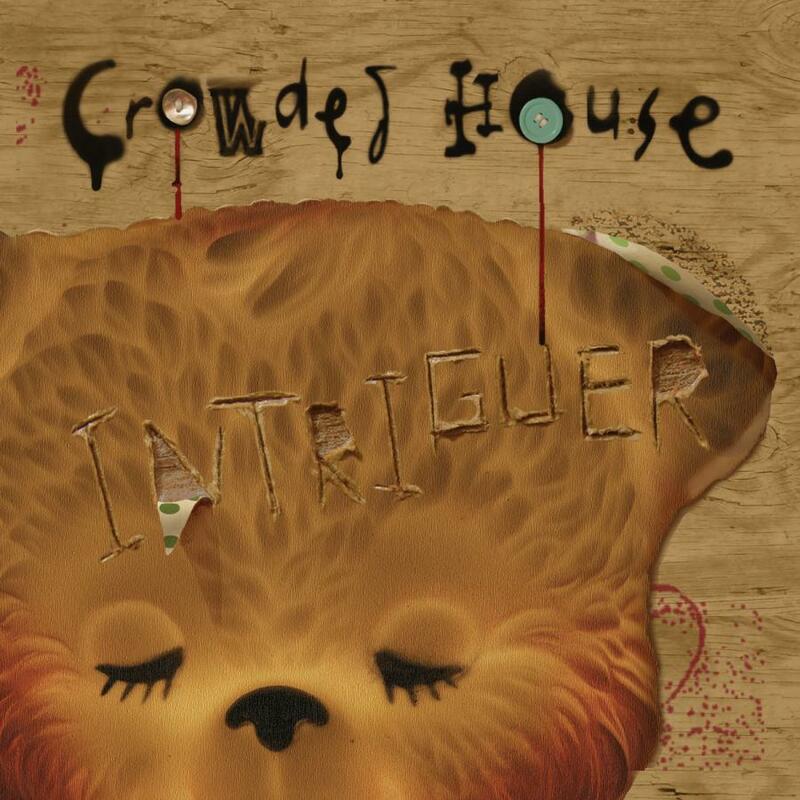 With the release of their latest LP, Intriguer, Crowded House have, in a sense, come full circle. The album, which hit North American retail and online outlets earlier this week—it was issued elsewhere around the world last month—finds the Australian-based quartet drawing on many of the characteristic qualities that distinguished them over two decades ago. 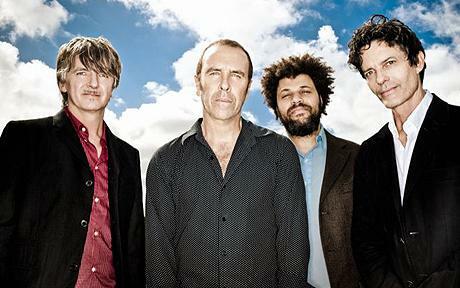 Led by vocalist and principal songwriter/guitarist Neil Finn, Crowded House generated both critical praise and immense popular success beginning with their eponymous 1985 debut, ultimately scoring such hit singles as "Don't Dream It's Over," "Something So Strong," and "Better Be Home Soon," among many others. By the mid-nineties, though, Finn wished to pursue other endeavors and, in so doing, broke up the band. 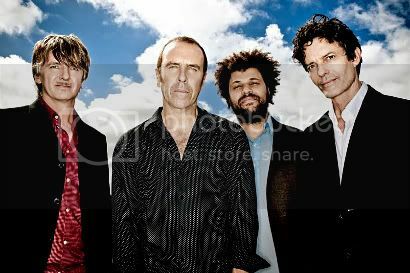 It wasn't until 2006, following the suicide of drummer and founding member Paul Hester the year before, that Crowded House reemerged with Time On Earth, which began as a Neil Finn solo project to which the remaining members later contributed. 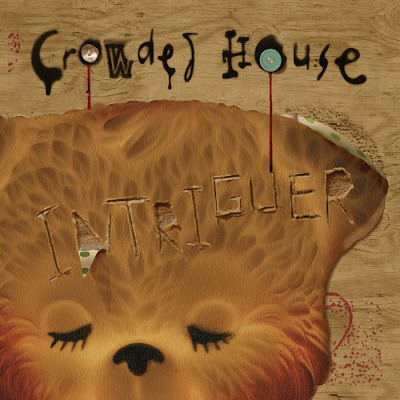 Intriguer is more a concerted effort of the band—who along with Finn includes keyboardist/guitarist Mark Hart, drummer Matt Sherrod, and bassist Nick Seymour—and its melody-rich arrangements, coupled with Finn's compelling lyricism, recall quintessential Crowded House. The new album’s release inadvertently coincided with the start of the band's North American tour, a daunting scenario for any established act not wanting to overwhelm audiences with a lot of unfamiliar material though, at the same time, maintaining a desire to perform their latest work. "Playing live has to be a challenge," Seymour contends, underscoring the point that nothing about a Crowded House concert is particularly set in stone anyway. "The setlist changes most nights. There’s a stable of, say, six songs that we always include in a set, but we can play for two hours—that’s usually the length of a show—and it takes many turns. I think audiences are set to expect that." How has the dynamic in the band, now with Matt on drums, changed from the days of, say, Temple of Low Men? Has your approached evolved any or is it similar to how it was back then? The approach to rendering the music, to finding an arrangement, is pretty much the same. We do takes and we try not to make any mistakes and we try to perform the song from start to finish as best we can. And then [we] scrutinize the takes: “Take three was better than take one.” That has stayed the same. We record to tape, still. We shift tempos according to how Neil feels singing the song. Most of those things are fairly traditional. And that hasn’t changed since Temple of Low Men. That’s a mode we can’t really corrupt or change. Because the minute we try to get the drums separate from the vocal the integrity of the way that the song sings is self-conscious. It’s suddenly challenged and it doesn’t sound right. Matt is a very different kind of drummer from Paul in a lot of ways, but there are so many similar aspects to their upbringing, which is really extraordinary. I was amazed at the hybrid of music that they grew up with that were similar. They’re similar in some respects and then wildly different in others… When we met Matt, we weren’t trying to replace Paul Hester. We hadn’t been together as a band for some time. We were just trying to meet a drummer that we could instinctively go to and chase [an] abstract enjoyment of jamming. He’s not a particularly great brushes player like Paul was, but he’s an incredible polyrhythm-type player. We’re really lucky we met Matt, that’s for sure. What does Intriguer, as an album title, mean or intend to suggest? “The Intriguer” was an actual song at one point. It comes from a night when Neil was out having a drink with a very well-known cartoonist/satirist in Australia, Michael Leunig. Neil and he are friends; they’ve worked together on a couple of projects in the past. They were out having a drink. [It was like] when the conversation just sort of stops and you’re looking around in the bar or just watching out the window; you’re not talking very much, but you’re seeing these little random asides taking place in the city. The story is that whenever there was an alarm or a crash or some kind of accident—a moment in the restaurant or whatever that's drawn attention—Neil has observed a guy standing in a window nearby and Michael’s observed the same person. And they ended up having this abstract conversation about there is governance over dysfunction, [that] this intriguing character oversees these random events just to keep humans on their toes. This dark figure became known as The Intriguer. Neil wrote a song about it and, as it turned out, the song didn’t turn out as well as we thought or capture it as well as the idea of the specter of The Intriguer [being] a great umbrella essence of the new record. There's a minimalist, organic, almost-meditative quality to the new music. It's a consistent vibe. Was that something you set out to achieve? I wouldn’t say that we ever have a criteria for how we go about capturing the time in the studio, the energy in the studio. But often there will be an atmosphere that falls into place [of which] we tend to recognize its merit and really grasp at happy accidents that occur. The pressure in the studio of all being in the right place at the right time together is such that you’d almost be sabotaging that potential by having a criteria or a manifesto... It’s just a certain magic that will occur at the time and then make sense after the fact. It is very intuitive and very instinctive. If there is some kind of consistent atmosphere going on from one song to the next, it’s really as a result of possibly the season, what we were eating, the sense of camaraderie and bonhomie, the stories that were being told at the time. Often as not, when I try to piece together an illustration that is to be the cover of the CD, I have to consider all of these elements and try to come up with something that is an inherent juxtaposition to how we were feeling in the studio at the time. It’s incredibly hard, but it makes perfect sense once it’s done.